Patty Young missed out on three months of Social Security benefits after being mistakenly declared dead. The Social Security Administration is having trouble separating the dead from the living. A new report from the agency's inspector general found that it has active Social Security numbers for nearly 6.5 million people who are most likely dead. These Social Security numbers get used by identity thieves to fraudulently receive benefit payments, open lines of credit or claim big tax refunds. But this isn't Social Security's only death-related problem. As CNNMoney reported in 2011, mistakes in the agency's files are also wreaking havoc on the financial lives of thousands of people mistakenly declaring them dead. And these seemingly small mistakes are leading to some very harsh real-life consequences. Some members of the Social Security's "undead" are getting crucial government benefits cut off out of the blue, others are being blocked from using their bank accounts, while others are unable to renew their driver's licenses or apply for credit. 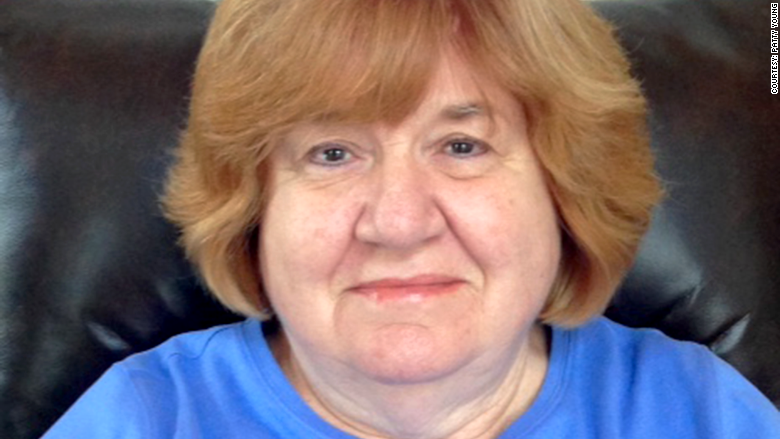 Patty Young, from Mason, New Hampshire, discovered that she had been declared dead when she went to the Department of Motor Vehicles to get a new driver's license. The agent at the DMV told her there was a problem with her Social Security number, and that she needed to contact the Social Security Administration. Young immediately drove to the local Social Security Administration office. After showing an agent proof of identification, she was told that she had mistakenly been declared dead due to a "keystroke error." "I started to laugh when they told me," said Young, who is 65 years old. "I had no idea what a big deal it would become." The Social Security agent told Young that it would take two business days before they could fix the error -- which would be just in time for her to receive her next Social Security retirement check. But two days turned into three months, during which time she was unable to get a new driver's license or receive her retirement benefits. Luckily she and her husband didn't struggle too much because they had his pension benefits to fall back on. But the three months of phone calls and office visits to get everything cleared up was extremely frustrating. And just when Young finally thought it was over, she received a notice from the IRS alerting her that someone had filed a tax return in her name. This, she was later told by an IRS agent, was likely a result of the Social Security ordeal as well. Identity thieves are notorious for using Social Security numbers of recently deceased individuals since they know it takes time for their information to be removed from the agency's system and no one else will be filing a tax return with that number. To make sure she doesn't get targeted again, Young purchased a credit monitoring service and now keeps constant tabs on her bank accounts. "There should be checks and balances on this system before they declare someone deceased," said Young. Related: Hey Social Security, I'm not dead! The Social Security Administration said it does have systems in place to minimize mistakes like this, and that it has an error rate of less than 1%. "While the error rate is an extremely low percentage, we acknowledge that it is virtually impossible to get to a zero-percent rate and any person affected by an error faces inconvenience and potential hardships," the agency said in a statement. But this doesn't make it any easier for the fraction of those whose bad luck lands them on the death list. One CNNMoney reader says her 92-year-old grandmother was in the emergency room when the nurses announced that her Medicare card was being declined by their computers. It took the family more than five days to get Social Security to fix the error. During that time, her grandmother couldn't be transferred from the hospital to an advanced nursing facility Medicare had approved for her. Another 91-year-old from California had her Medicare, Social Security and annuity payments all cut off after being listed as deceased. Meanwhile, a woman from Pennsylvania says her three-year-old daughter lost her medical assistance benefits for months after being mistakenly flagged as dead by Social Security. "We were shocked," she said of her family's discovery. "For something like this to happen to a child is horrible." Do you have a financial horror story? Email blake.ellis@cnn.com to share it.